You know all the Bollywood emperor Amitabh Bachchan. Which are also known for their decency and seriousness. Amitabh Bachchan has never had any controversy in Bollywood. Amitabh Bachchan himself does not like to have any contraversion at all. But let me tell you that there was such a superstar in the past. Relationships with Bollywood’s Emperor Amitabh Bachchan are not good at all. Actually we are talking about the relationship between Bollywood superstar Rajesh Khanna and Bollywood’s emperor Amitabh Bachchan. Bollywood superstar Rajesh Khanna did not like Amitabh Bachchan at all. 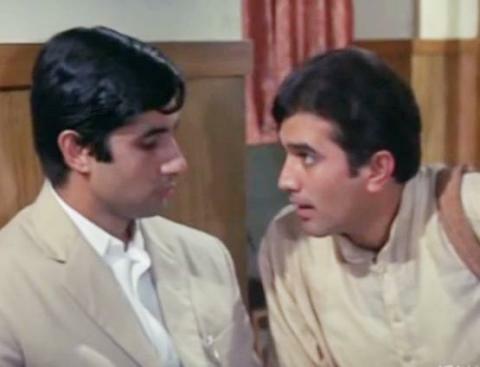 In the same movie Anand, Chemistry of Amitabh Bachchan and Rajesh Khanna was liked by his fans too. There was no sweetness in the relationship between these two super stars in Real Life. Let’s tell you today that this dispute began between when and where between the two superstars and what else. In the 70’s, Bollywood superstar Rajesh Khanna used to be. And when the 80th round came, the title went to Bollywood’s emperor Amitabh Bachchan. When Amitabh Bachchan was struggling to make a career in Bollywood. At that time, Bollywood superstar Rajesh Khanna was on the bulwarks. These two superstar worked together for the first time at Film Anand. Just from this movie, the fight for the existence of stardom of these two superstars started. It has also been found that when the movie was shooting for Anand, So then superstar Rajesh Khanna has made his mark in Bollywood. Bollywood’s emperor Amitabh Bachchan, who was struggling to fight, was very upset. 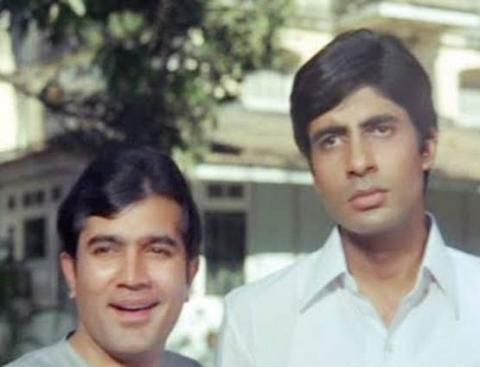 Superstar Rajesh Khanna reprimanded Amitabh Bachchan on the set of Anand film. But Amitabh Bachchan never reacted to this matter anytime. The movie was a super hit at the Anand box office. Along with this film, the carrier of superstar Rajesh Khanna also went ahead. 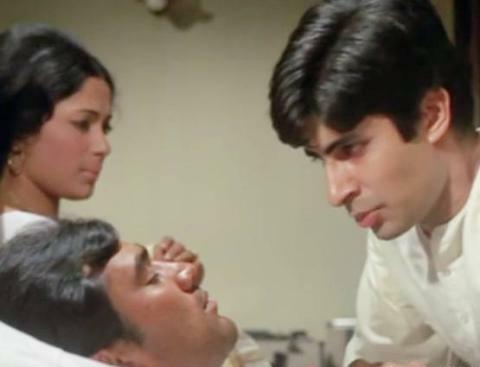 Amitabh Bachchan did not get much advantage from the same film Anand. That is where Amitabh Bachchan’s film Zanjeer came. This movie got another new star from Hindi cinema. The lock of fate of Amitabh Bachchan opened with the film Zanjeer. And the people started to know them. In front of everybody’s face, openly set against the superstar Rajesh Khanna and Amitabh Bachchan. In fact, Jaya Bachchan was working in Rajesh Khanna’s film. Those same days Amitabh Bachchan and Jaya Bachchan were dating each other. Amitabh Bachchan often came to meet Jaya on the set of film Chef This was a bad idea to superstar Rajesh Khanna. They thought that due to Amitabh Bachchan, the time of shooting for his film wasted. Rajesh Khanna remained silent for a long time. But suddenly one day Rajesh Khanna heard Amitabh Bachchan very good in front of Jaya. At the same time, Jaya did not tolerate any such incitement by Amitabh Bachchan. He told Rajesh Khanna in two words that you are joking about whom today. One day it will become a big superstar than you. Due to his anger and Attitude, gradually many people from the industry started getting away from superstar Rajesh Khanna. On one side, where the movies were coming out from the hands of Rajesh Khanna. So Amitabh Bachchan was on the verge of success. Not only that, Rajesh Khanna did not even know the popularity of Amitabh Bachchan for that time. But one day it happened that Rajesh Khanna had a stomach mouth in front of his stardom. 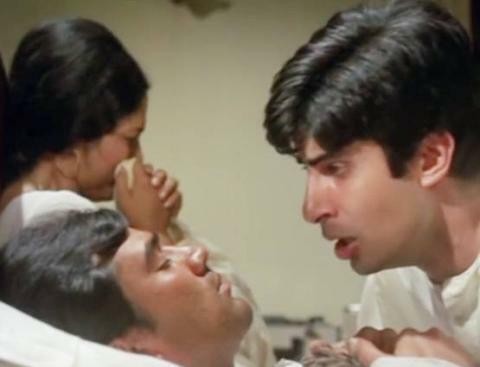 This happened when people did not remember him in front of Rajesh Khanna. Surrounded Amitabh Bachchan and began asking for Amritabh Bachchan for autographs. With this statement, superstar Rajesh Khanna felt such a deep shock. That he could not handle himself And in an enclosed room they started crying bitterly.